Hakob what you want? The train to hit you in the face to see it? When he says "pipeline" is he referring to the Iranian and Russian pipelines to be joined? He is talking of azeri pipeline going into Armenia. The azeris will just do it cause they love Armenians? The guy has the same mental issues like Sakofxxxxvillie of Georgia. Looks like this one is going to eat his tie as well. Other than kicking out the thieves, he has nothing to offer. Not the sharpest knife in the shed. He is just full of himself! "We do not want revenues to fall into PKK hands," he said. 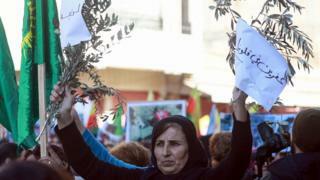 "We want the revenues from Afrin... to come to us. This region in under our hegemony." 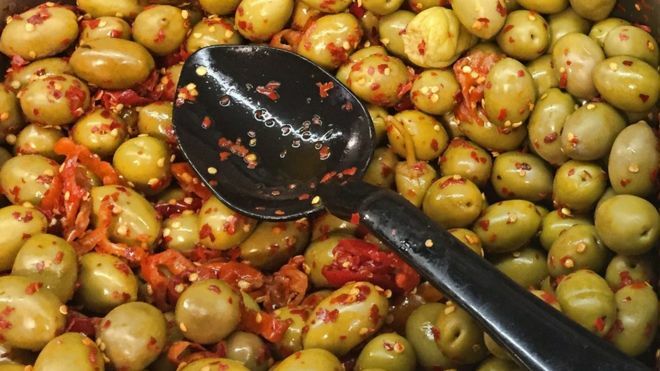 Pro-government media have also praised Turkey's control of the Afrin olive market. Chinese state media have released a video appearing to show a Uighur musician previously reported to have died in a detention camp. The video, dated 10 February, features a man said to be Abdurehim Heyit stating that he is in "good health". Turkey earlier called on China to close the camps following reports of his death. Up to a million Uighurs are reportedly being detained. Some Uighurs have questioned the video's authenticity. 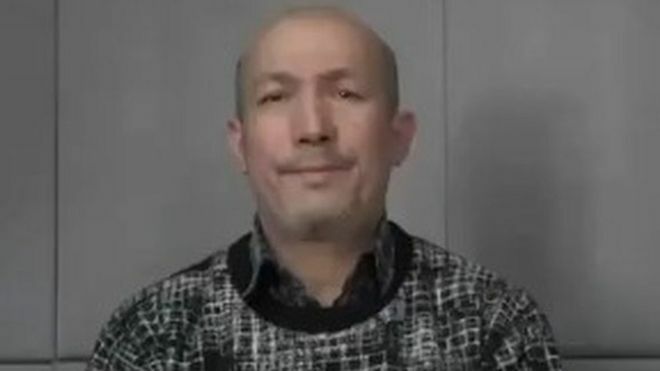 Nury Turkel, chairman of the US-based Uyghur Human Rights Project, told the BBC that some aspects of the video were "suspicious". The Uighurs are a Muslim Turkic-speaking minority based in the north-western Xinjiang region of China, which has come under intense surveillance by Chinese authorities. 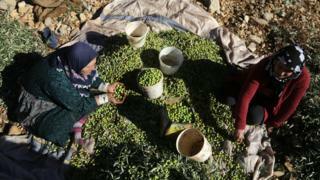 Their language is close to Turkish and a significant number of Uighurs have fled to Turkey from China in recent years. What is in the video? The video was released by China Radio International's Turkish-language service, which said Turkey's criticism of China was unfounded. In it, Mr Heyit appears to say he is "in the process of being investigated for allegedly violating national laws". What did Turkey say? Its foreign ministry had said that detained Uighurs were being subjected to "torture" in "concentration camps". Foreign ministry spokesman Hami Aksoy said the reports of Mr Heyit's death "further strengthened the Turkish public's reaction to the serious human rights violations in Xinjiang". "The reintroduction of concentration camps in the 21st Century and the systematic assimilation policy of Chinese authorities against the Uighur Turks is a great embarrassment for humanity," Mr Aksoy said. He called on UN Secretary General Antonio Guterres "to take effective steps to end the human tragedy" there. How unusual is the Turkish stance? However Mr Turkel said the release of the video showed that the Chinese government did respond to public pressure. "The Chinese government responds to Turkey because of the influence it has in the Muslim world," he said, adding that UN Secretary General Antonio Guterres had been "awfully quiet" on the issue of detentions in Xinjiang. "The ball is in the Chinese government's court. They detained Heyit. 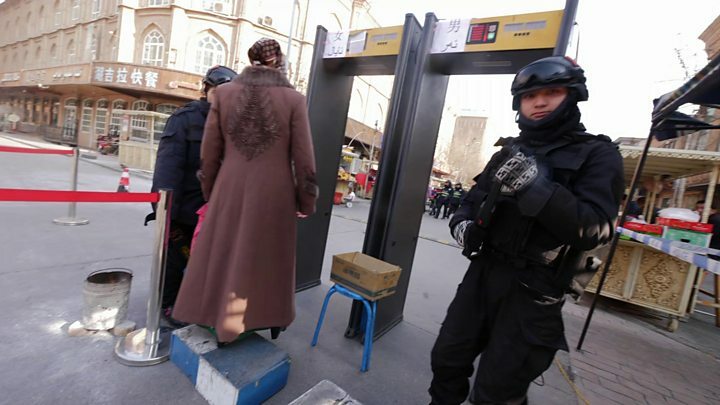 They detained 10% of the Uighur population. They are trying to tell the world there is no abuse and these are just so-called vocational training centres. It's their responsibility to prove the video is authentic," he said. Mr Turkel said the Chinese government was capable of doctoring video because of the "technological advantages it has". "With today's technology it is possible to create a video presentation. It's not that difficult," he said. What do we know about Heyit's fate? Amnesty International has said it is very concerned about reports of his death. He was a celebrated player of the Dutar, a two-stringed instrument that is notoriously hard to master. At one time, he was venerated across China. He studied music in Beijing and later performed with national arts troupes. Mr Heyit's detention reportedly stemmed from a song he had performed titled Fathers. It takes its lyrics from a Uighur poem calling on younger generations to respect the sacrifices of those before them. But three words in the lyrics - "martyrs of war" - apparently led Chinese authorities to conclude that Mr Heyit presented a terrorist threat. Who are the Uighurs? Weird news! What's even weirder is that Newsweek is covering it. "TURKEY'S ERDOGAN SENDS TWEET IN ARMENIAN FOR FIRST TIME, BUT IS IT ABOUT HEALING WOUNDS OR INCREASING POWER?"